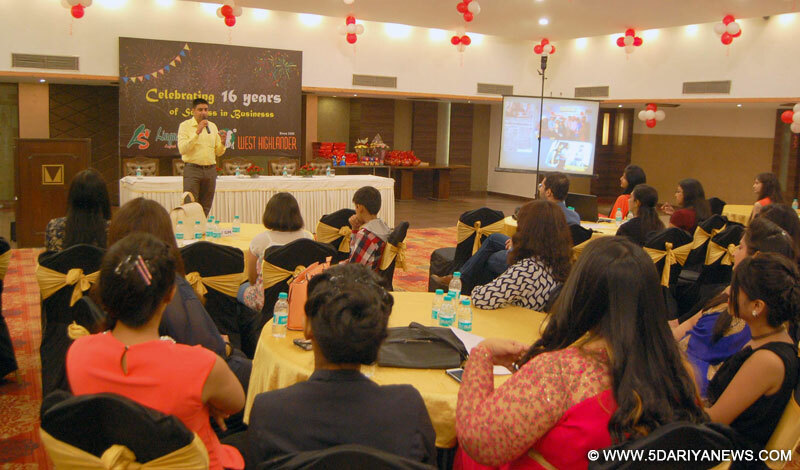 West Highlander celebrated its 16th Anniversary with great zeal. Events such as Mime, skits, Gidha and Western dance performances, Solo and Duet Songs, and others items were held.Audience were then treated to the words of wisdom from Director Parwinder Kaur.She applaud the contribution of employees in making this company one of the most successful companies in such a short span of time. According to her West Highlander has high success rate in Student Visa and dependent Visa cases due to trained and qualified counsellors to guide the students about various courses and colleges abroad .After cake cutting ceremony achievers and performers were were awarded for their persistence, hard work, by Director Parwinder Kaur . Companies Business Associates were recognized. The celebration ended on a high note with electrifying cultural performances and photo sessions, followed by a sumptuous dinner.